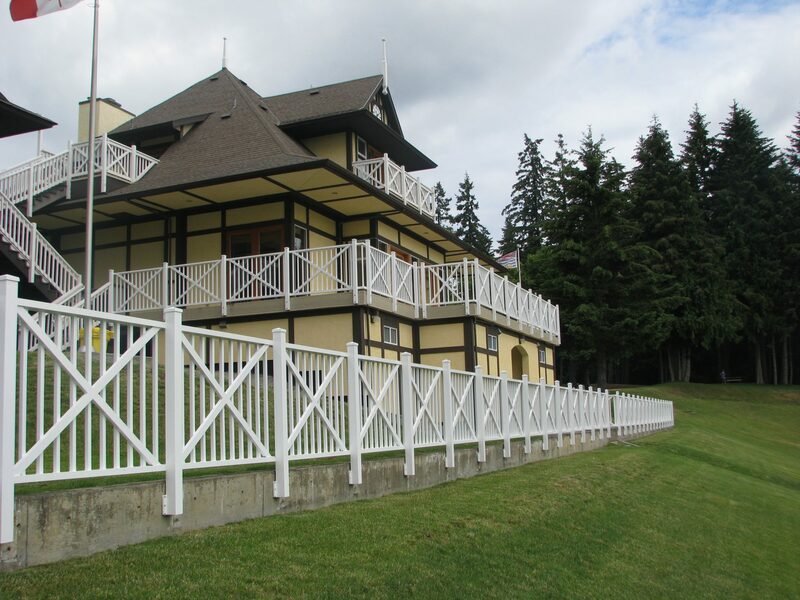 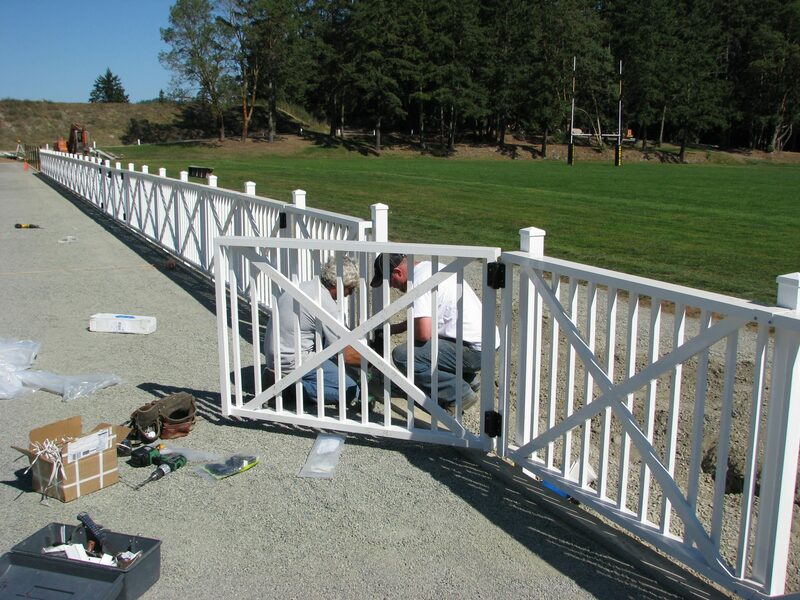 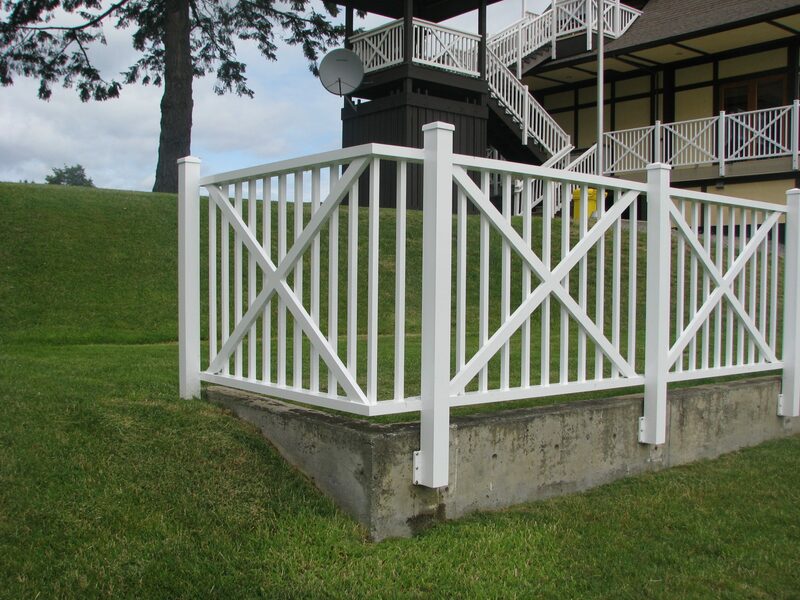 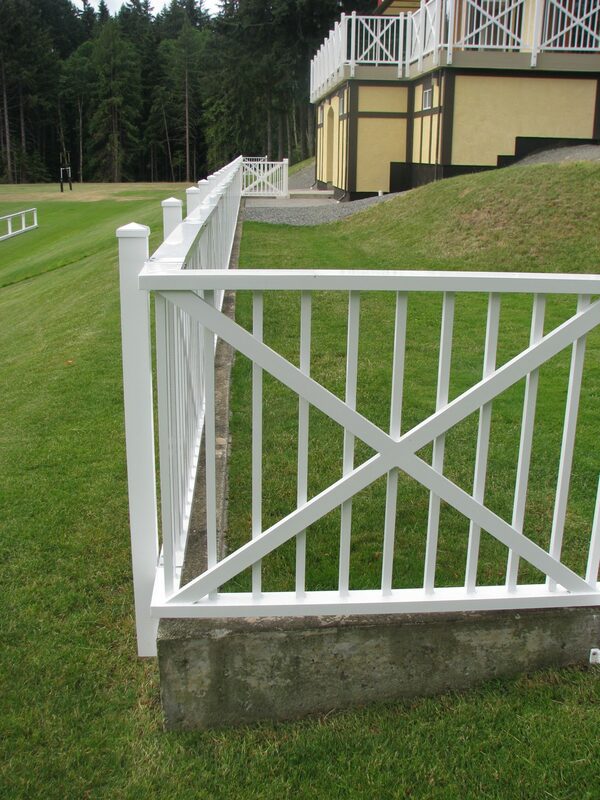 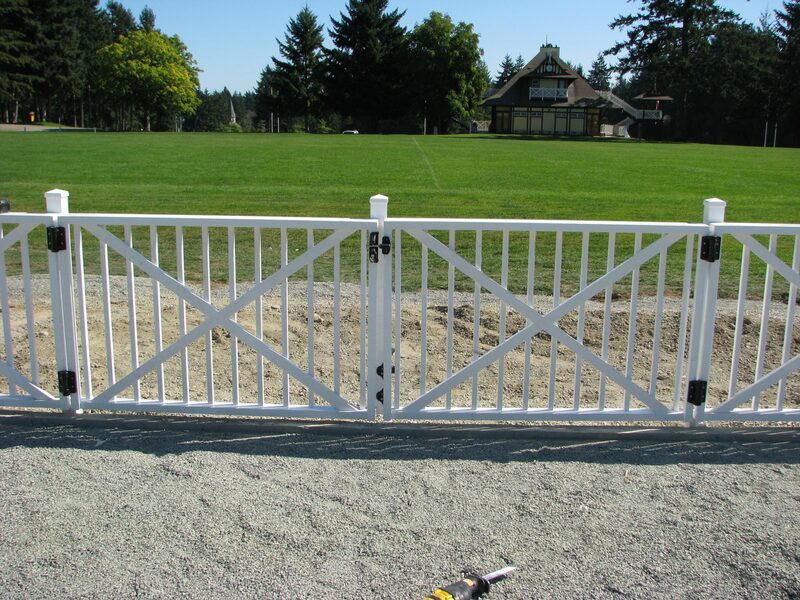 Shawnigan Lake School - K&S Railings Ltd. 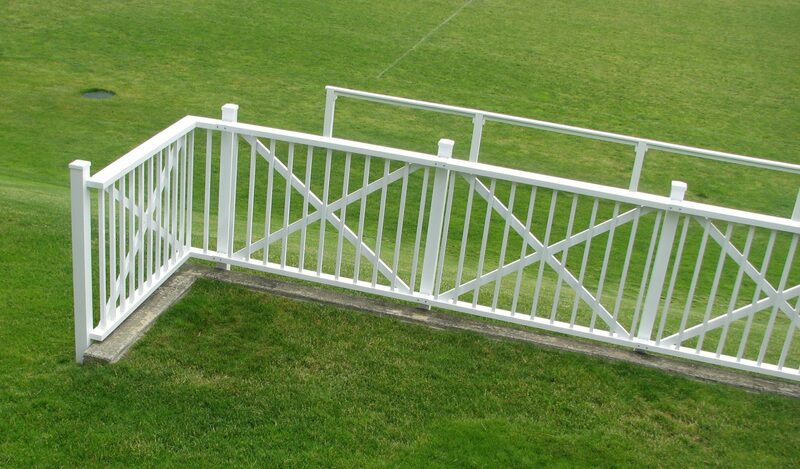 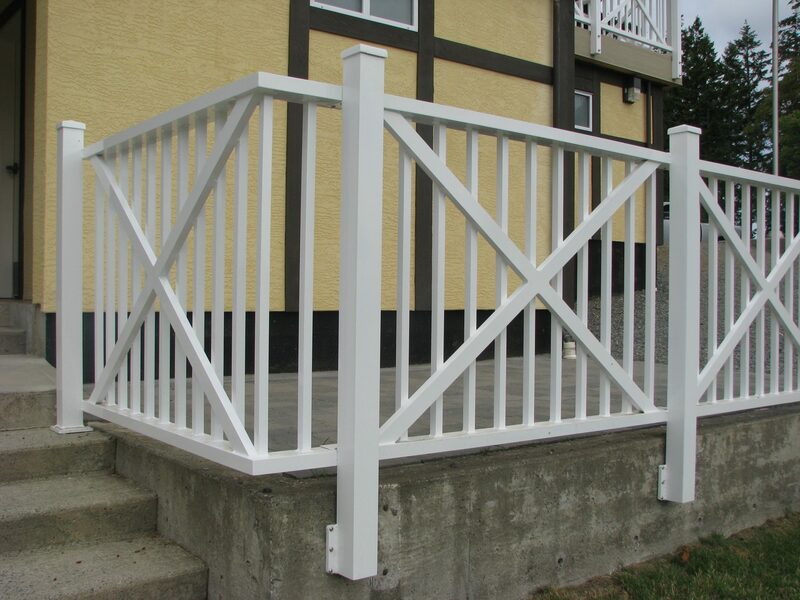 This project was unique in the fact that the aluminum railings and posts had to match existing wood railings. 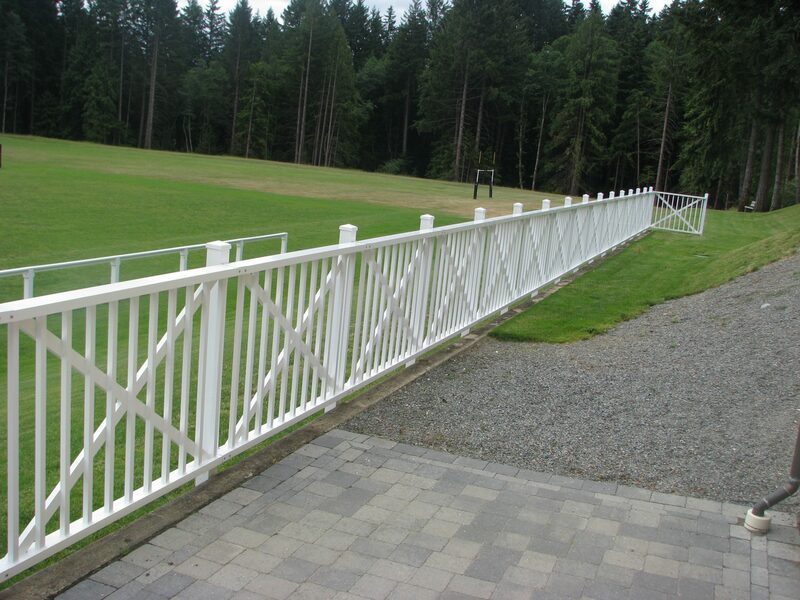 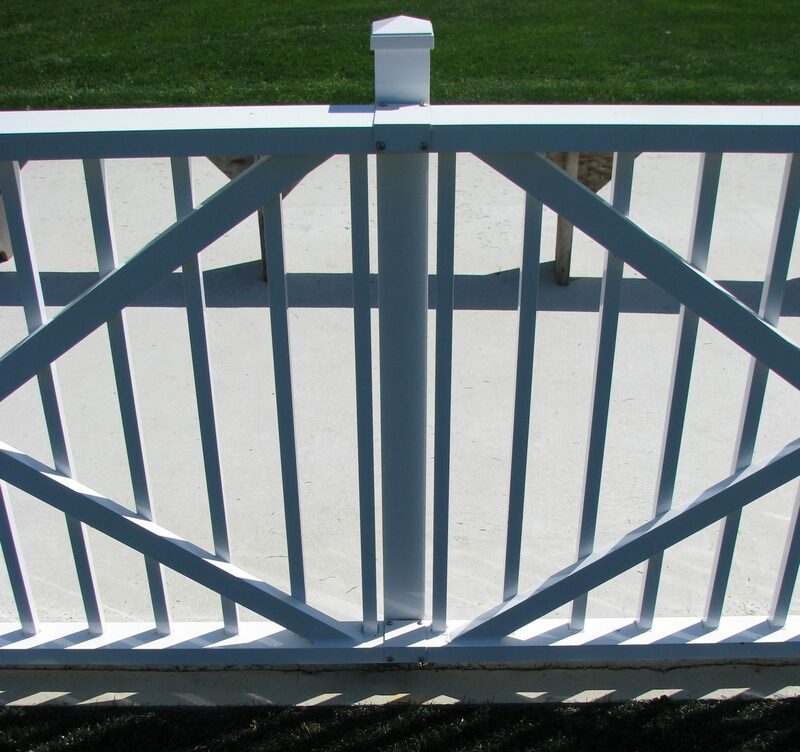 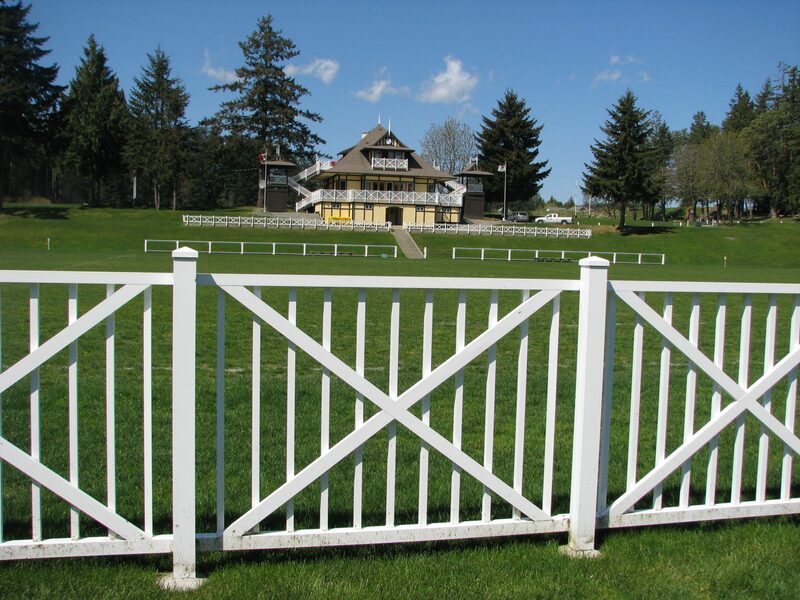 The design followed a custom-width picket with cross-braces, along with pyramid cap 8″x8″ inset posts. 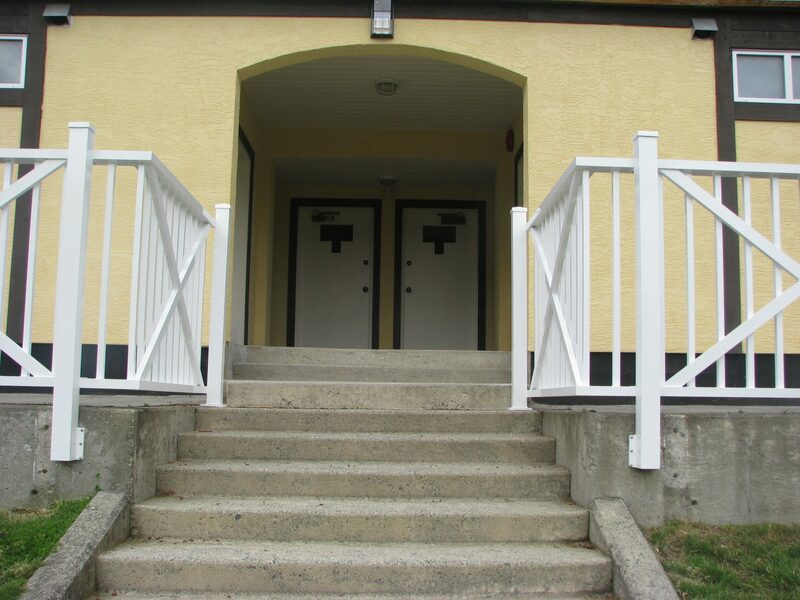 As well as railings, aluminum staircases were fabricated to replace failing wooden ones.